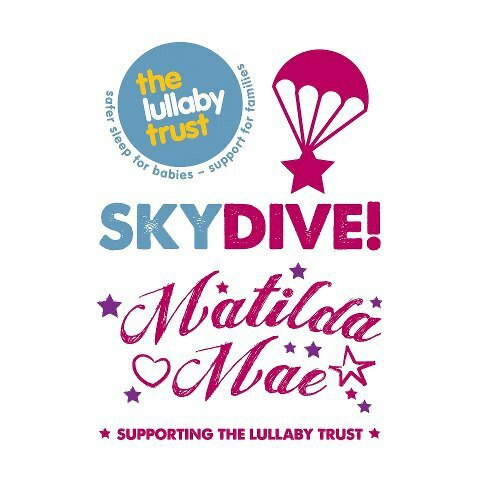 This morning 8 amazing women and one amazing bloke are going to throw themselves out of planes to raise funds for The Lullaby Trust. Why are they doing this? 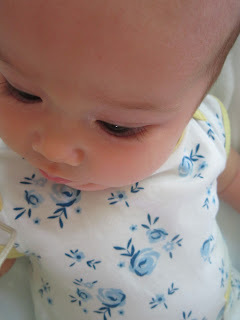 Precious Matilda Mae daughter of Jennie at Edspire passed away inexplicably in her cot. She died. For Matilda Mae, a special blog baby, was loved in a very special way. People have felt inspired that her life was so precious, so meaningful, she brought so much love that they will do anything for her. If only Team Matilda Mae could fly right up to heaven and bring her back. Today they are sky diving to raise money so that no mother has to go through this excrutiating pain. I know Jennie, I have hugged her, and I can't imagine living this nightmare. And a thought this morning goes to those babies whose lives are lost and noone jumps out of a plane for them. Whose passing is a fleeting newspaper story, and who are rarely thought of, rarely remembered. Matilda Mae is remembered and spoken about everyday. If you want to remember Matilda Mae please make a donation, you can do so here. And send your love to Jennie today.